Written and produced by Pat Butcher, this 50min documentary was directed by film and TV director Dirk Campbell, and owes much to his tenacity and dedication; as it does to the financial backing of (Sir) Eddie Kulukundis, a long-time benefactor of British athletics; and coinvestors, Lindsay Kennard and Dave Carpenter, friends from university days. 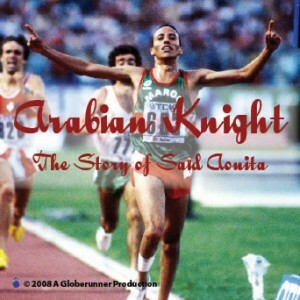 Arabian Knight was the first independent television documentary to be bought by BBC TV Sport, and was broadcast before the Olympic Games in Seoul that same year. Aouita was the first man to challenge the British middle distance hegemony of Seb Coe, Steve Ovett, Steve Cram, Dave Moorcroft, Peter Elliott and others. The Moroccan was as dynamic off the track as he was on it. I was fortunate as a French speaker to do, I believe, the first interview with him (in 1983) by an Anglo-Saxon journalist. I followed his career closely, and he used me to find out as much as possible about his British rivals. When I asked if he would do a documentary at the beginning of 1988, targeting his build-up to the Olympic Games in Seoul, he accepted almost immediately. We made two trips to Morocco for filming, with other interviews in London, where the editing was also done. The documentary was shown in the UK and Scandinavia, and had Aouita not been injured in Seoul, and succeeded in his outrageous attempt to win the 800 and 1500 metres, having won the 5000 metres in Los Angeles 1984, the film would almost certainly have been screened more widely. In the event, Aouita was third in the 800 metres in Seoul, and did not run in the 1500 metres.  We recut the film in early summer 1989, after he made a successful comeback to win the world indoor 3000 metres, and it was shown on several of the emerging satellite channels. Written, produced and directed by Pat Butcher, this 48min documentary features a veritable Who’s Who? 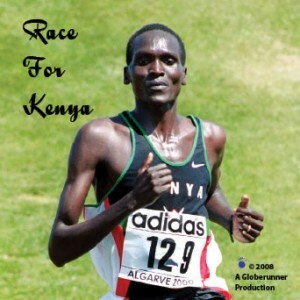 of the running world as it pertains to Kenya. This film is an attempt to explain the multiple and diverse reasons for Kenyan running success which, half a dozen years later, had reached the extraordinary extent that in 2006, there were over 500 Kenyan performancess under two hours twenty minutes for the marathon. Contrast that with the dozen or, at most a score of sub-2.20 runners from First World countries, the USA, UK, France, Spain, Italy, Germany, et al. Even Ethiopians could muster no more than thirty or so sub 2.20 men, according to the greatest of them all, Haile Gebrselassie. The documentary features interviews with Paul Tergat, Kipchoge Keino, Moses Kiptanui, Moses Tanui, Patrick Sang, Yobes Ondieki, with legendary coach, Bro Colm O’Connell, with administrator John Velzian, with manager/coaches Kim McDonald and Dr Gabriele Rosa, with foreign rivals, Dieter Baumann (Olympic 5000m champ in 1992), and US record holder Bob Kennedy, and perhaps most importantly, with world renowned muscle biologist, Dr Bengt Saltin. The documentary has not been widely seen on television, only getting several viewings in Europe around the time of the World Championships in Seville 1999 and the Olympic Games in Sydney 2000. But its examination of the reasons for East African success, which tacitly includes Ethiopians, Tanzanians, Ugandans, Eriteans and Somalians remain even more valid today, and are worthy of wider dissemination. The documentary covers discussion and debate on the potential benefits of altitude, group training, genetics and socio-economics on performance. There is also footage of international racing, and some of the first footage ever shot of Kenyans training at altitude.